As the dinner sold out in a matter of hours and I have been completely overwhelmed by both the generosity of the friends from near and far who have donated to what is now a frankly ridiculous purse of prizes and the number of people who want to help out, in the aim of raising as much money as possible for the people of the village, I have decided to open up some of the prizes to be sold at auction to the many people who couldn’t make the dinner. If you would like to bid on any of the lots below, just send me an email at alex@tuttowines.com for further details, conditions and your maximum offer before 5pm on Monday. Your bid will then be compared against those that are placed at the dinner next Tuesday and if there is no higher bidder, the prize is yours. 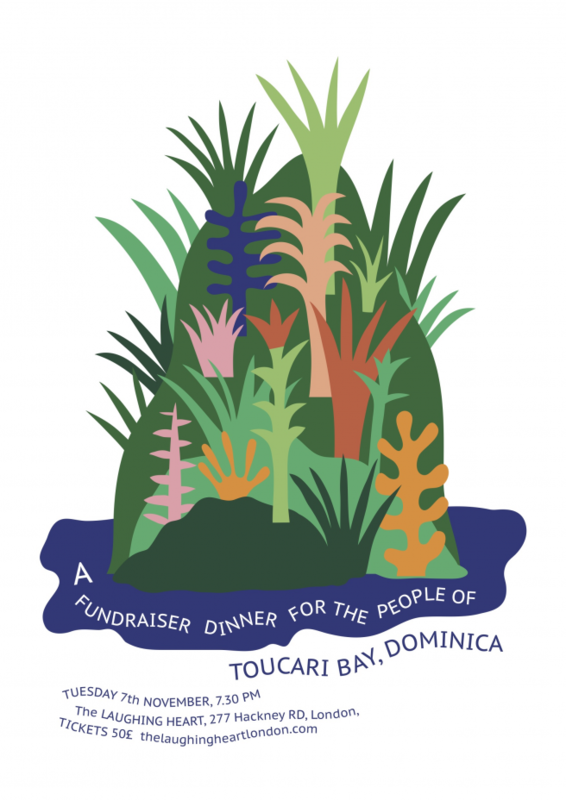 Remember that every cent from this auction will go towards helping the people of Toucari Bay. Take a look at what is on offer. It might be a rare bottle, a meal with a room somewhere you have always wanted to go in Europe or lunch at a place you already know and love. Whatever it is, every cent you spent will go towards helping those who really need it. So lets dig deep and have some fun. It’s also worth mentioning to reward those supporting us at the dinner, that in addition to the prizes below, on the night you will be able to enter an exclusive draw for more incredible prizes donated by 40 Maltby Street, Duck Soup, Hill & Szrok, Lonely Planet, Noble Rot, Ottolenghi, Primeur, The Kernel Brewery, Totem Wines, Towpath Cafe, Violet Cakes and Xu. 1. Two nights accommodation with breakfast and dinner for two people at the Auberge de Chassignoles in Chassignoles, France. 2. Dinner for two, with wine and a room above the restaurant at Bar Brutal in Barcelona. 3. Sunday lunch for four people, with wine at Brawn. 4. A meal for two with all the tacos, all the beers and some under the counter ‘plastic bottle’ mezcal brought back from Oaxaca by Chris and Nud earlier this month at Breddos Tacos. 5. An eight course tasting menu for two with drinks pairing at Carters of Moseley in Moseley. 6. A night’s stay with breakfast and dinner for two people at Coombeshead Farm in Cornwall. 7. Dinner for two up to £150 at Dean Street Townhouse. 8. Dinner for two up to £150 at Lyle’s. 9. Breakfast for four people at Nopi. 10. Dinner for two, with wine at P.Franco. 11. The tasting menu for four people at Ristorante Consorzio in Torino, Italy. 12. A bespoke Thai menu for two, with wine at Som Saa. 13. A five course lunch for two, with matching wines at The Clove Club. 14. Dinner for two at The Marksman. 15. Lunch or dinner for two, with wine at Timberyard in Edinburgh. 16. Lunch or dinner for two up to £130 at Westerns Laundry. 18. A celebratory cake that feeds up to twenty people from Violet Cakes. 25. A six vintage vertical of Cantina Giardino’s Gaia (’09, ’10, ’12, ’13, ’14, ’15) – donated by Damiano & I. 26. A bottle of Jean-Pierre Robinot’s, Cuvee Juliette Robinot 2009 – donated by Jean-Pierre & Noella Robinot.